Like a good pair of jeans, the right blazer is a wardrobe staple. 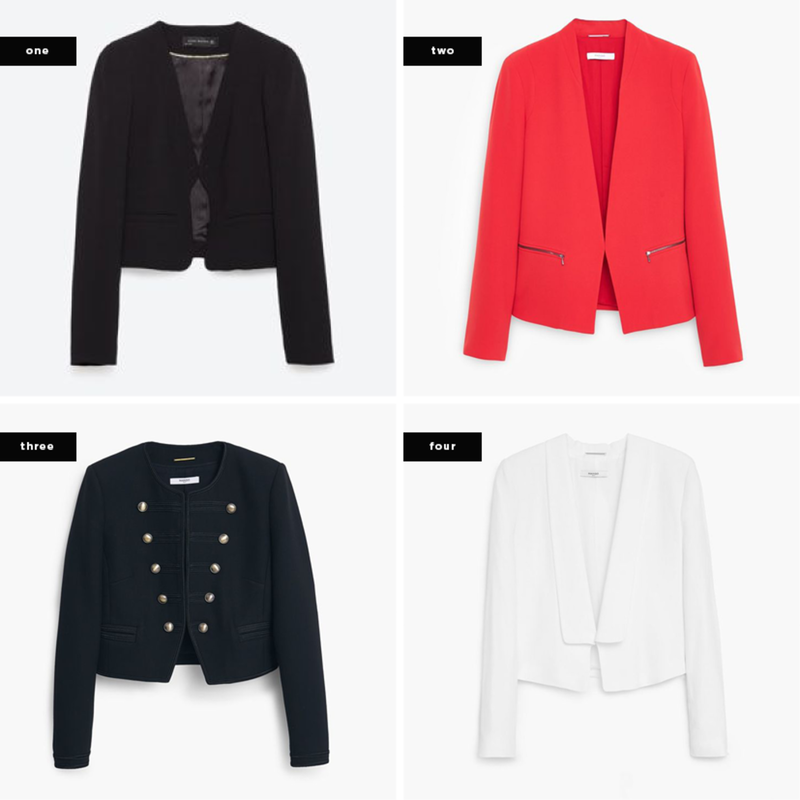 The blazer is a universal wardrobe staple—and a great topper for a little added professionalism at the office. 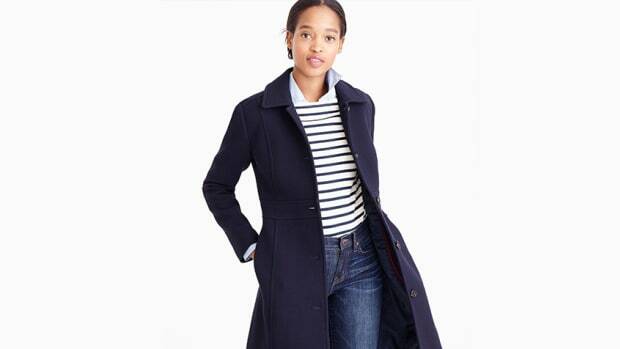 But like a good pair of jeans, when it comes to this classic outerwear, one style does not fit every body shape. 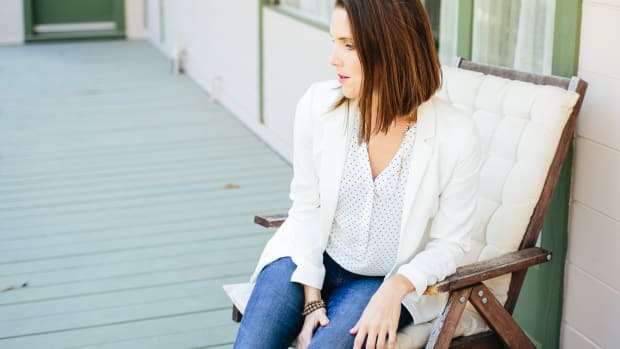 If you’re the proud owner of a body with feminine lines and proportions, you know that blazer shopping isn’t as easy as picking the first one you see. Flattering our figures depends on finding the appropriate fits and styles. 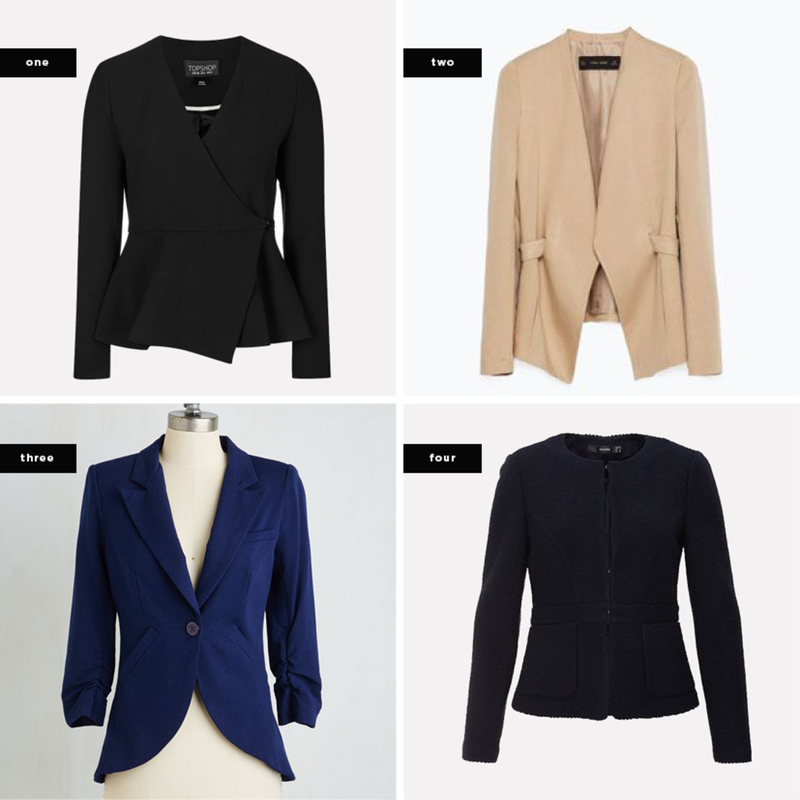 But have no fear; whether you’re a heart, pear, petite, hourglass, or rectangle shape, we have a blazer for you. If you have more volume on your torso than your lower half, look for blazers in sleek fits with downward lines. Avoid blazers that have overly squared shoulders, thick collars, or too many buttons. 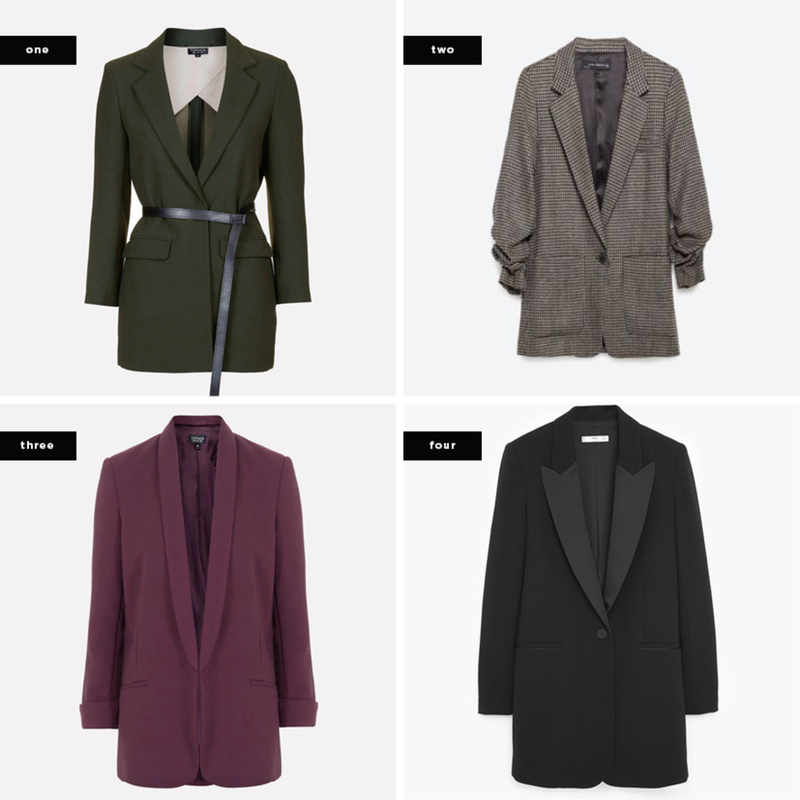 Try tuxedo blazers or collarless blazers that offer a modern feminine approach to the typical masculine fit. Blazers in crepe, linen, or any other lightweight materials are also great options because they do not add more volume on top. If your hips don’t lie, like for pear shapes, the goal is to create more volume on top in order to balance out the volume of your hips and thighs. 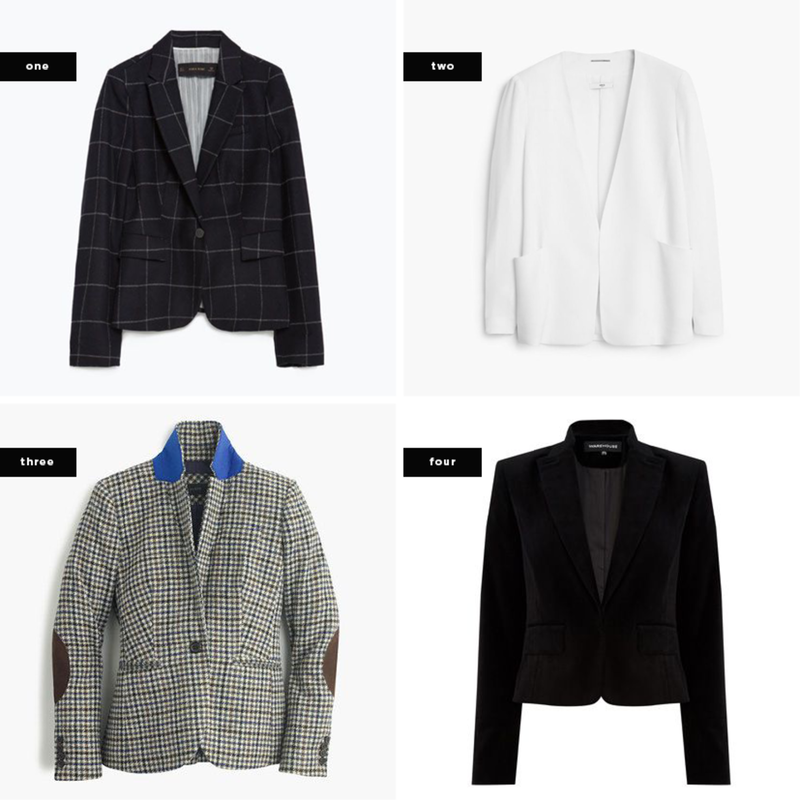 Pick blazers that have squared shoulders, patterns and prints, or thicker fabrics. 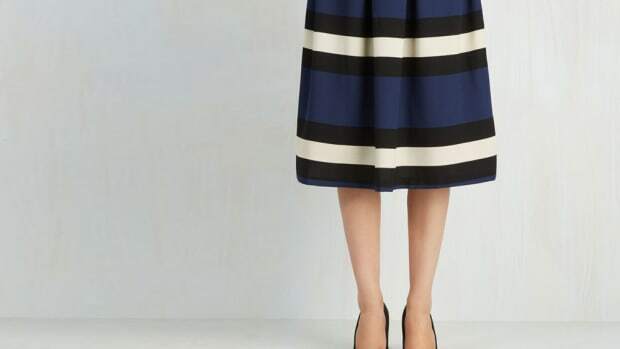 A wider shoulder will create an hourglass silhouette, making your lines more proportional. A fun checkered pattern or print will also balance out your hips and draw the eye upward. 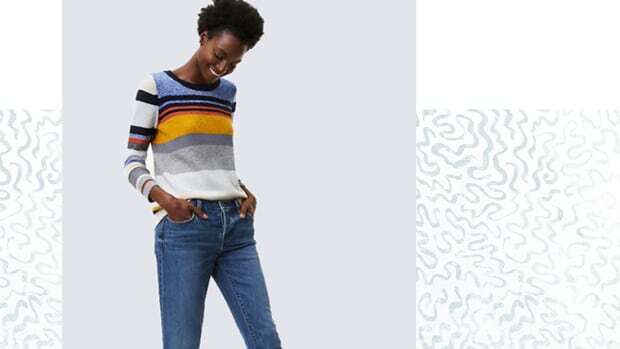 Have fun with styling by bunching up your sleeves or popping your collar—these are simple ways to create more volume on top. Finding fits that don’t overwhelm or swallow your petite frame is a battle. The key to flattering your shape is to avoid squared shoulders and to look for lighter fabrics, cropped fits, and sleek collars. To keep your frame from drowning in too much fabric, try breezy crepe or linen materials that don’t bulk up at the arms or shoulders. A blazer in a shorter length will be more proportionate to your body, creating balance. If you describe yourself as “straight up and down,” boxy masculine blazers look effortlessly cool and edgy on you. 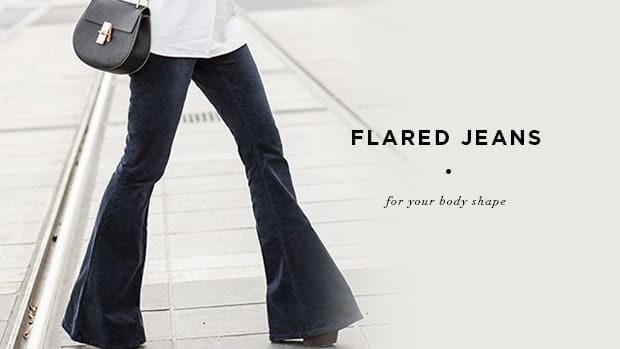 Long, draped fits that go past your rear are most flattering because they elongate your silhouette while giving some volume to your otherwise straight shape. If you want to bring out your waist, try adding a belt to create an hourglass silhouette. If you’re an hourglass, you already have balance and proportionality at your advantage. 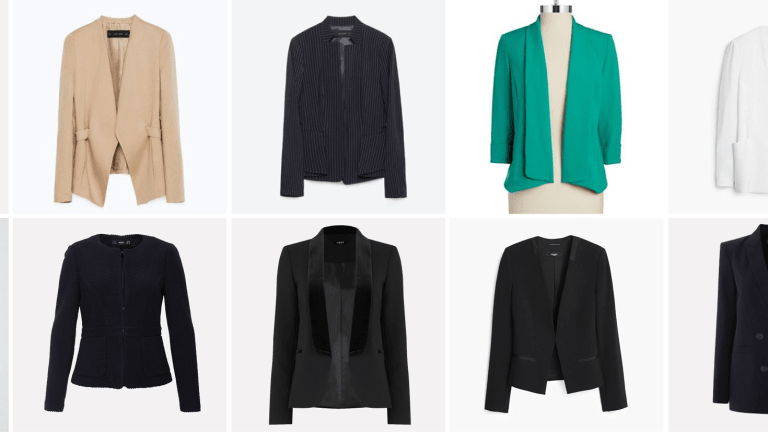 Finding a blazer to flatter your shape depends largely upon highlighting your natural physical balance, meaning your waist. Choose blazers that are tailored to highlight the feminine physique, either cinched in at the waist or with a belt or peplum fit. 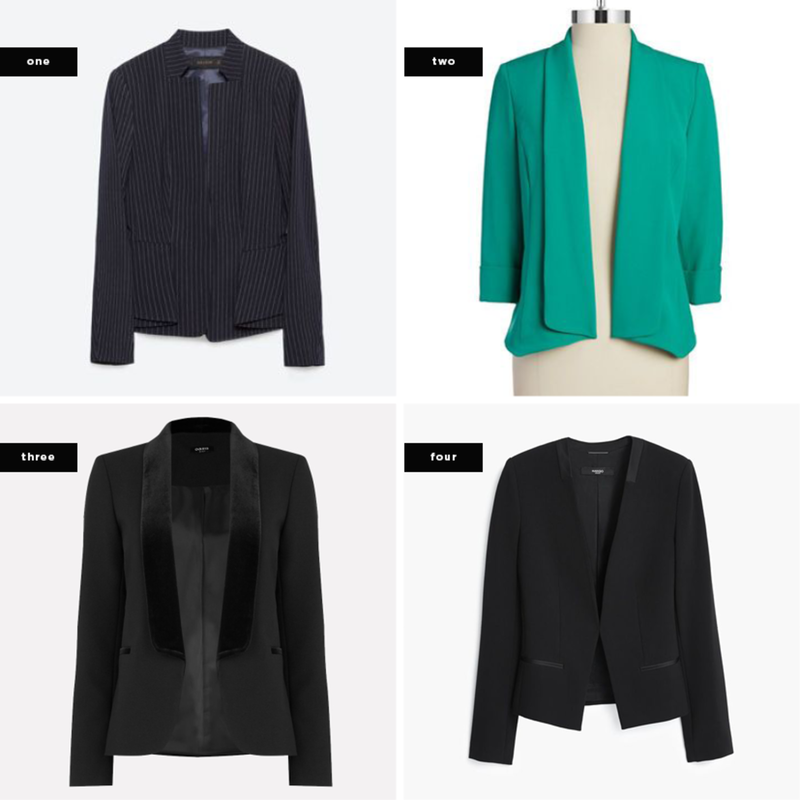 Avoid blazers that are too boxy and masculine or too long; these fits will hide your shape. 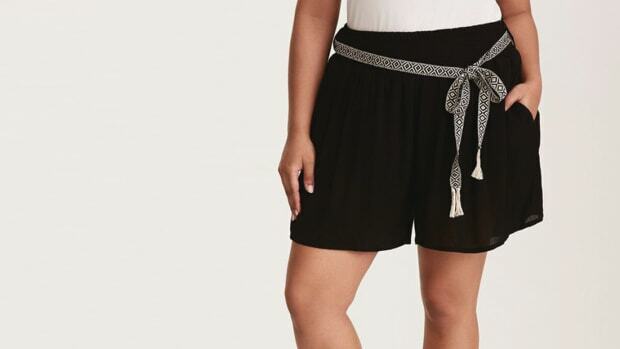 Because who doesn’t want a pair of flattering shorts?